With the adjustments of 2018, owner-managers may not have looked at budgets for 2019, but considering changes in the Canada Pension Plan (CPP), it may be time to start projecting 2019 and beyond. On October 6, 2016, Bill C-26 was passed with the objective of enhancing the CPP to increase the amount working Canadians receive from CPP when they retire. The amount is set to increase from one quarter of their eligible earnings to one third. The increase to an individual’s pension will depend on how long and how much they have contributed to the enhanced CPP structure. An individual will receive the full increase if they have contributed to the enhanced CPP for 40 years. Further, the federal working income tax benefit (WITB) will increase to offset the increase in CPP contributions from low-income earners. This is a polite way of saying that starting January 1, 2019, higher contributions will be required from both employees and employers. Higher contributions will be phased in over seven years. 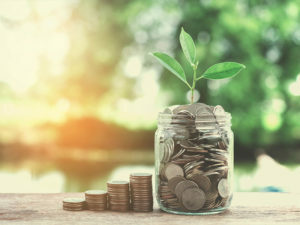 The new structure requires that employees and employers contribute more on earnings up to the maximum amount of eligible earnings as indicated under the CPP contribution tables. 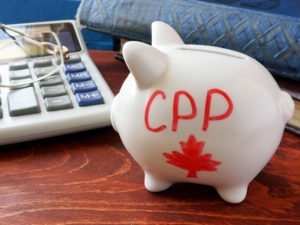 By 2023, the employee and employer CPP contribution rate will have risen from 4.95 per cent to 5.95 per cent of eligible earnings. This increase will be phased in gradually from 2019 to 2023. Those who are self-employed pay both sides of the equation, so contributions will have risen by 2% of eligible earnings by 2023. Under the current system, CPP contributions are capped at 4.95% of the maximum annual pensionable earnings of $55,900. Once the $3,500 basic exemption is applied, the maximum contribution by both employee and employer is $2,593.80 for a total contribution of $5,187.60. Down the road the Yearly Maximum Pensionable Earnings (YMPE) figures are going to change starting from the 2018 YMPE maximum to a projected YMPE of $72,500 by 2025. This amounts to an increase in the YMPE approximating 30%. In addition to establishing a graduated YMPE rate for contributions there will be a new upper earnings limit starting in 2024 called the Year’s Additional Maximum Pensionable Earnings (YAMPE) that will effectively require both the employee and the employer to pay an additional amount into CPP when they exceed the YMPE. It appears that an additional 4% contribution will be required by both the employee and the employer on any amounts that exceed the $72,500 YMPE amount up to the YAMPE of $82,700. For the employed and self-employed that exceed the $72,500 YMPE and are required to pay in an additional amount to CPP, the employed will be entitled to a tax deduction on the excess amount, while the self-employed will be able to deduct both the employee and employer share of enhanced contribution. Employers and those who are involved in payroll may be interested in reviewing the CRA website that offers a chart showing the timing of the changes, the increased YMPE, the additional contribution amounts that will be required up to the YMPE and the contributions required on amounts over the YMPE. Those who are involved with payroll will certainly want to keep abreast of the changes and ensure that their accounting packages can be modified for the changes that are coming.